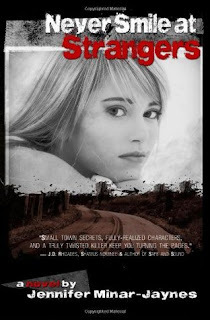 Goodreads Summary: WHEN TEENAGE GIRLS VANISH in what was once considered a safe, Louisiana bayou town, the lives of four desperate young locals take unexpected turns, begging the crucial question: Do you every truly know those closest to you? I won my copy of this book from the one of the giveaways here on Goodreads. I'm definitely happy I entered to win--I was rewarded with a well written, captivating story! Both engaging and chilling, this novel pulled me in right away and never let go. I couldn't put it down, but if I absolutely had to, I wanted to get back to it right away! I absolutely had to find out what would happen next, and there were many times where the end of certain chapters had mini cliff-hangers. These uncertainties about what exactly would happen next added to the suspense building throughout the novel. Sometimes, I found myself starting to read a few pages ahead but stopped myself before I actually gave in to that temptation. I vacillated between feeling empathy for the antagonist since she/he had obviously been abused as a child and feeling anger and disgust for what she/he had done to others. To me, that is the sign of an excellent mystery/suspense novel--when the reader is torn between contradictory emotions for the "bad guy/girl." There are just so many shades of gray when it comes to the decisions and actions people make and why they make them. People are not necessarily all "good" or all "bad" but rather exist on a continuum between the two and have the capacity for both good deeds and evil actions. This novel will make you think about human behavior and entertain you at the same time. For someone like me who is interested in and studied psychology, what more could I have asked for? For more information, don't forget the link above! The winter blues have got me down. Yeah, I know it hasn't really been much of a winter so far here in Ohio. It's more like autumn has run all the way into February, except it isn't very pretty outside like the true autumn season. At least in fall there are beautiful leaves changing colors, bright orange pumpkins, and the pleasant scent of wood stoves fired up to keep houses warm. Even the sunshine is gorgeus. Yesterday was actually a beautiful day. The sun was out and shining, and you could see a lot of blue sky. Days like that are hard to come by this time of year in this area, and when I actually wake up to one, I realize more than ever how much the weather affects my mood. I need the sun! Since it hasn't been snowing, the days are mostly drab--the trees are bare, the sky is overcast, and it's been raining quite a bit with mud everywhere. I'd rather see some snow! I'm pretty sure I'm in the minority around here, and don't get me wrong, I'm not complaining just to be complaining. Honestly! I don't mean I want ten feet of snow or anything, but a dusting would be great, without any ice of course! I absolutely love sitting with my kids and watching the snow gently falling outside, knowing we're warm and dry inside our house. I feel extremely peaceful and at ease. I just hope the winter doesn't show up in March with the intention of settingup camp until May. If that happens, I'm going to seriously regret asking for any snow period! Every author who writes a series involving vampires, werewolves, shapeshifters, and the like comes up with his or her own rules for the supernatural world they create. I liked the new take on vampires in this book, where after the Japanese invent synthetic blood called "TruBlood," vampires decide to let the world know that they do exist and want to integrate themselves into mainstream society. Of course, there are also some vampires who prefer to remain living the way they have for centuries and don't wish to become a part of society. I thought it was interesting to see how the vampires interact with humans now that humans know vampires exist. I loved the characters of Sookie Stackhouse, Sam Merlotte, Bubba, and Bill Compton. The relationship between Sookie and Bill was very sweet, and it seemed to me that the era Bill is from (the Civil War era) was probably the reason he was a gentleman. Sookie is relatable even though she has an ability that sets her apart from most other humans--she is telepathic. She seemed to confide in the reader as if the reader is a friend, and I really enjoyed this approach to the writing of the book. 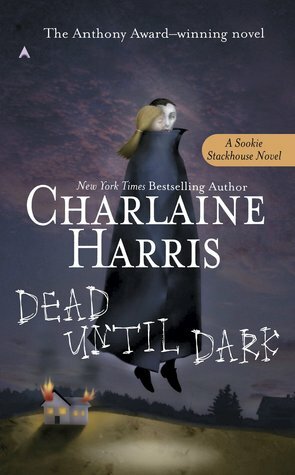 Sookie has a lot of difficulty with her ability to read others' minds; she learns information that she doesn't want to know. This made school nearly impossible, and she has given up on dating because it was difficult for her to know every thought, positive and negative, her date had about her. I was sympathetic to her plight, and when she found out she can't read vampires' minds, I was happy for her to be able to find some relief from the constant racket in her head. I didn't compare this book to the HBO series as I have only seen the first two episodes of the first season when it first debuted. I have heard there are some differences between the books and the T.V. series. I plan on watching the T.V. series and can't wait to see these characters come to life! This book had a little bit of everything. 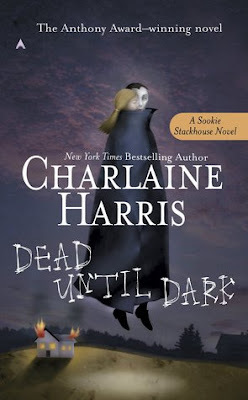 There was mystery, romance, supernatural elements, likable characters, not so likable characters...I didn't previously have any interest in reading this series and only decided to last fall. I'm definitely glad I ended up reading this book; it was well worth my time! On the news back in December of '09, it was reported that a mother of two young boys, Susan Powell, went missing in Utah. This happened not long after my son was born, and I remember looking at him, wanting to protect not just my children but all children from any of the terrible things that could happen in life. There are times still to this day that I cannot help but be afraid of all the possible scenarios where either something happens to me or someone I love. I think we all experience this at one time or another; we just have to find a way to live for each day and not allow the fear to overwhelm us or take over our lives. As a fellow mother, it seemed I could feel the pain she must have been feeling. I was both horrified that she went missing yet hopeful that she would be found. I followed most of the news regarding the search and investigation. Not once did I think the father's (Josh Powell) story made any sense. Who takes his young sons camping at midnight in freezing temperatures? This didn't sound likely to me at all, and I always thought there was something not quite right about him. While watching T.V. late Monday night, my sister and I happened to be watching MSNBC where we saw the news that Josh Powell had burned his house down while he was inside of it with his two boys. I couldn't believe it--I just sat there in shock, trying to imagine what those boys must have endured. Their lives ended much too soon, and every opportunity they could have had in life was stolen from them by their own father. Their own father, who had professed to love them and claimed he was staying strong for them. I can't help but think that Josh Powell was involved in his wife's disappearance, and I think she is probably dead. Her own parents believe she is dead. He proved he was a violent man and capable of murder when he took a hatchet to his sons and burned down his house with the three of them locked inside. With the pictures of Susan Powell that authorities found in the possession of Mr. Powell's father last fall, I think it's also likely he was involved right along with his son. There is definitely something off with him. I don't even want to say what other kinds of pictures Mr. Powell's father was found to have. The authorities reported the mystery behind Susan Powell's disappearance may never be solved. Just when I didn't believe this situation could be any more tragic, now her parents have not only very likely lost their daughter but also their grandchildren. It must be hard to have no closure, to never know what has happened to your daughter. My heart goes out to Susan Powell, her children, and her parents. May this never happen to another family. Wow, I was wrong! The Giants won. That's cool, though; I like Eli Manning. I don't hate the Giants. Last year, I was about to die thinking the Steelers might win. Now that's a team I hate; they play dirty, and they're unnecessarily rough. I was disappointed that Madonna was chosen to perform the halftime show, but I actually enjoyed her performance. I did want to hear "Ray of Light" though. She didn't seem to dance as much as I've seen her dance before. The choreography was definitely lacking. Apparently, the big story is M.I.A. flipping off viewers during the performance. I was wondering who was center stage with Madonna and Nicki Minaj. I didn't notice this and wouldn't have known it had happened if I hadn't been reading tweets from Twitter after it was over. ﻿I doubt she'll be asked to perform on live TV again. Eh, it's not a big deal to me. I'm sure tons of people are freaking out, but I also bet there are tons of people like me who didn't notice. Besides, what did anyone expect? This is the same artist who had a hit song about marijuana a few years ago. Thank your lucky stars there wasn't a wardrobe malfunction! ~Jennifer~ | 1:52 AM | discussion Please comment! I'm ready and excited for the Super Bowl tomorrow evening. (Well, technically tonight since it's after midnight.) I get to hang with family, the commercials are usually pretty funny, and it's an excuse to eat good food that's usually not good for you! As if I need an excuse!! This year is cool 'cause I don't hate either team. I do like the Pats and would rather they win, but they just won not that long ago. I kind of wanted a team to go who either has never gone to the Super Bowl or hasn't gone in a long time. That's always fun to watch. Man, I'd love to see my Bengals go one year. That would be wild!! As you may have surmised, I'm a Bengals fan; however, I celebrated right alongside the Saints when they won back in 2010. That was amazing to see, especially because they fought so valiantly and brought some happiness to the hard hit post-Katrina area. I hope there are some clever commercials this year. Last year, my fave was the little boy pretending he was Darth Vader. So cute! Who will win? I think the Patriots have a good shot, although I could be wrong. Guess we'll just have to wait and see, but my intuition says we'll be watching the Pats claim another Super Bowl victory with Tom Brady at the helm! 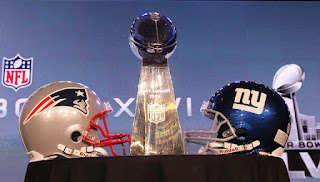 The 46th Super Bowl will take place on Sunday, February 5, 2012 at Lucas Oil Stadium. Kickoff is scheduled for 6:30 ET on NBC. ~Jennifer~ | 12:47 PM | book review Please comment! This book is just the beginning of a series I fell in love with. I know I shouldn't judge books by their covers, but I saw this at Barnes & Noble a long time ago. It was sitting out on a table, and I thought it was some sort of crime/mystery novel! I laugh now thinking about my mistake. :) I couldn't have been more wrong! My friend Jill was with me, and she let me know what it was about. I knew then I just had to read it! I knew I was going to own it and not even bother borrowing it from the library. I had heard so many great things and figured I'll read it over and over again. After reading it, I know I'll definitely read it again in the future! I was impressed with the way the story was told. I really enjoyed learning about the characters but was so saddened and mortified by the way they have to live. You'd have to be really strong, not just physically, to endure a life of hardship such as they do. It's so hard to imagine a world like that, where basically kids are going to fight to the death. 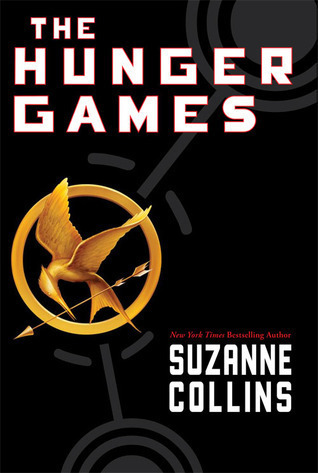 That's pretty extreme; however, I really like dystopian novels such as this one. I like reading novels with plots and themes out of the ordinary. This isn't your average romance or mystery novel. I highly recommend this book. I'm working on getting my sister to read it once she's finished with the book she's currently reading. And I cannot wait until the movie comes out!! Life is good right now. I have a lot to be happy about! I have two awesome kids, a loving supportive husband, two cute cats, and a brand new puppy. I'm also going to have a new niece or nephew, and I get to baby-sit him/her once my sister goes back to work! I'm a busy chick right now with training our new puppy and taking care of my rambunctious two-year-old son. They're both a handful! Especially my son, haha. He's at that age where I need to redirect him away from doing something he shouldn't do into something that he can do. Sometimes I even have to use time out, which absolutely works like a charm every time. If he's throwing a tantrum and won't stop, time out takes care of the problem right away. Then, he's like putty in my hands. Really, though, isn't that an accurate way to describe raising kids? They're like clay that are shaped into responsible, productive citizens by the other people around them, adults and children alike. My nine-year-old daughter probably has a lot more influence over my son than I do sometimes! He emulates everything she does. If she's sitting on the couch reading a book, he climbs up next to her with his own book. If she's having a snack after school, he's sharing it with her. When she lies down on the couch because she's tired, he wants to be right there next to her, even if it annoys her. "Molding" kids into becoming independent adults who will be able to take care of themselves and maybe one day their own children is a work in progress definitely. I find myself constantly teaching and guiding my son into appropriate behaviors. It has to be that way or else he'd probably end up one of those screaming kids in the grocery store check out line or the kid in the restaurant when it's your anniversary dinner with your significant other and the kid is yelling at the top of his/her lungs--you know what I'm talking about. Even if you're a parent, you can't help but feel frustrated with other parents in those situations. I must admit, I have been in that situation before, and I felt helpless. Believe it or not, but it as annoying as it is for everyone around the kid, it is equally annoying to the parent. And anxiety provoking as well! My son has a zest for learning new things, and I couldn't be happier. He wants to be independent and learn to do things for himself, and if he needs help, he's totally okay asking for it. My daughter is the same way. I'm really lucky they're both this way because it makes my job a little easier. And life is tough enough as it is--couldn't we all use a little ease now and then?